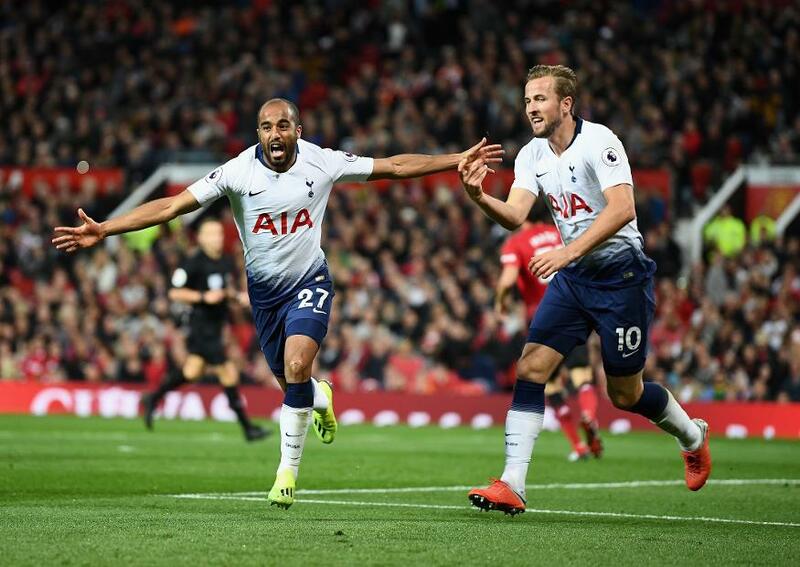 Tottenham Hotspur's 3-0 win at Manchester United took Stacy Katharina to the top of the Gameweek 3 tree in FPL. 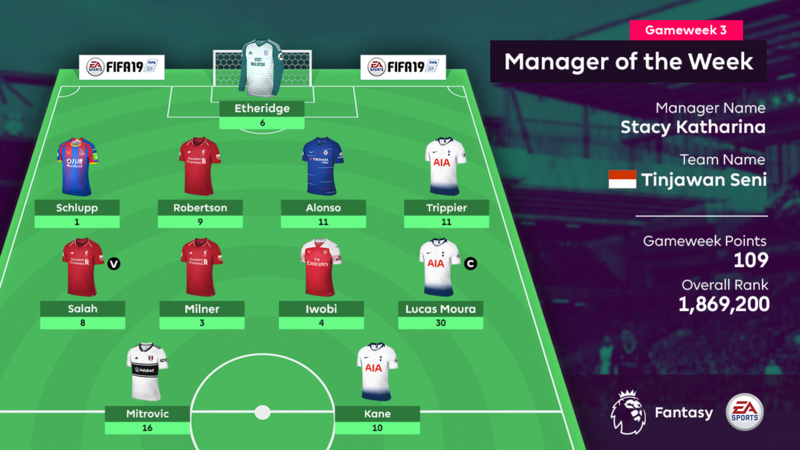 The Indonesian manager's Tinjawan Seni team scored 109 points – the best of the week among managers not playing one of their chips. Central to that success were a trio of high-scoring Spurs players. Stacy's decision to hand the captaincy to midfielder Lucas Moura (£7.1m) proved an inspired one. The Brazilian scored two goals and earned maximum bonus as part of a 15-point haul. Harry Kane (£12.5m), with a goal and an assist, and Kieran Trippier (£6.0m), who kept a clean sheet and provided an assist, were the other two Spurs players to star for Stacy. Lucas's total was bettered only by another of Stacy's selections, Fulham forward Aleksandar Mitrovic (£6.6m), who also found the net twice as the Cottagers beat Burnley 4-2. The Serbia international added an assist and collected the maximum bonus for 16 points. Left-back Marcos Alonso (£6.7m) also provided a double-digit return for Chelsea, while Liverpool duo Andrew Robertson (£6.1m) and Mohamed Salah (£13.0m) produced nine and eight points respectively. Stacy opted for a 4-4-2 formation in which only Crystal Palace defender Jeffrey Schlupp (£4.5m) failed to produce at least three points. Another bold decision – to bench midfielder Richarlison (£6.7m) – was equally vital as the Brazilian's sending-off for Everton at AFC Bournemouth would have resulted in a two-point deduction.